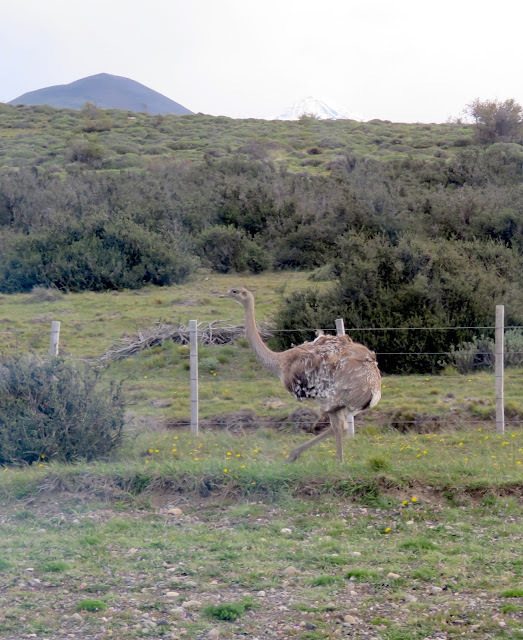 The Rhea is a huge ostrich- or emu-like bird that lives here in Patagonia. Today, more hiking in the spectacular mountain landscapes. Tomorrow we (and the 15 people we've been with so far) join the National Geographic Explorer, a ship with around 160 passengers, and continue our voyage onboard towards Cape Horn. We expect to have no internet while onboard, but hope for an occasional flash of communications.